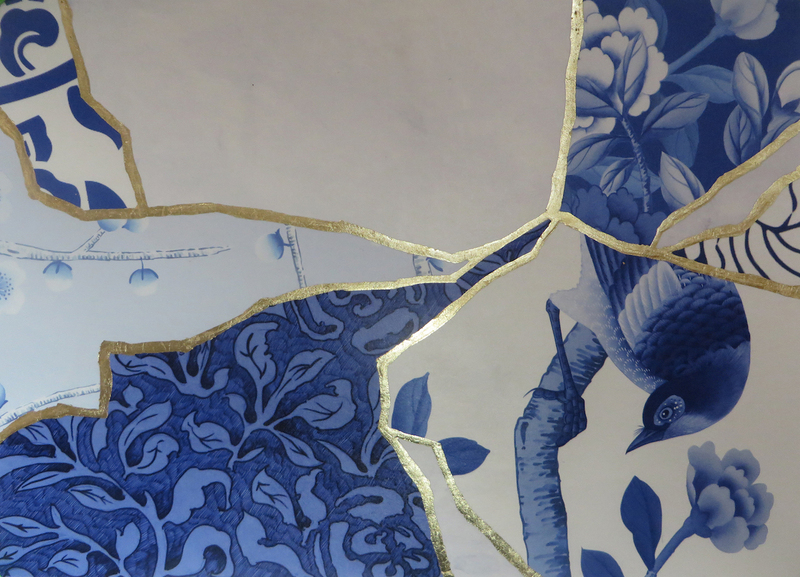 Kintsugi celebrates the beauty of the Japanese art of repairing broken ceramics with gold-laden lacquer. 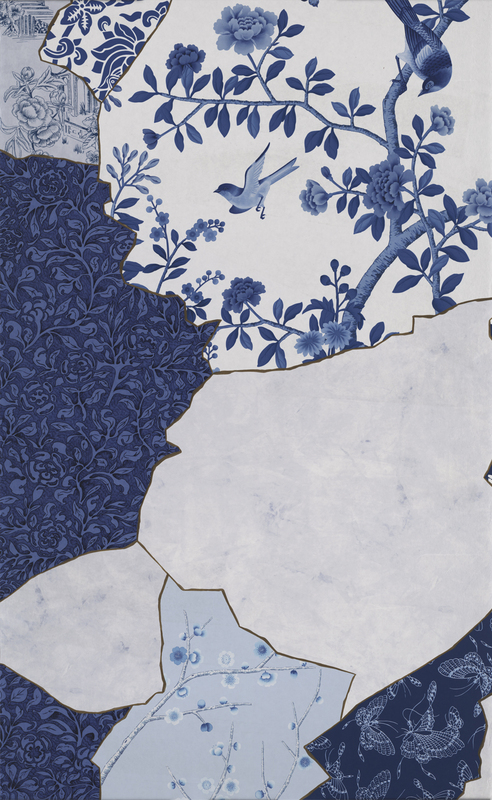 This collaged wallpaper is part printed, part hand-lacquered. 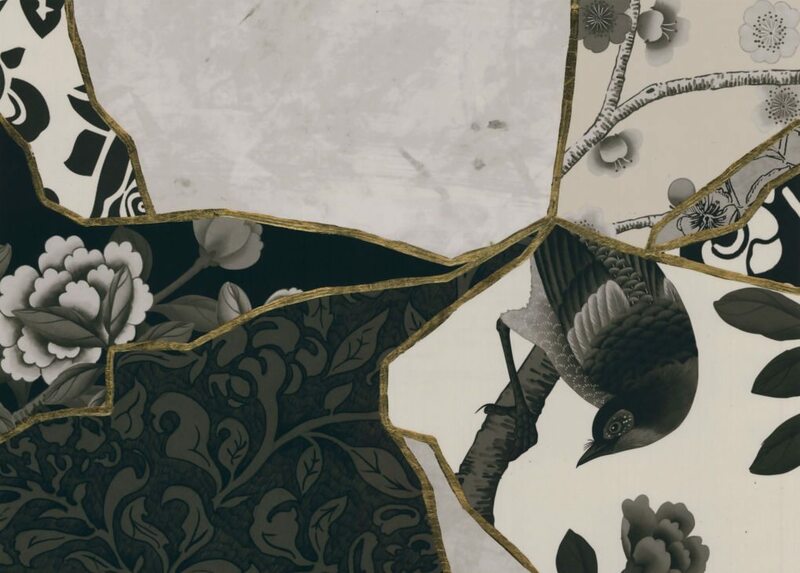 Based on the Japanese art of repairing broken ceramics laden with lacquer.